Sliabh Liag (Slieve League in English) is truly one of Europe’s most under appreciated natural treasures. These sea cliffs are the highest on the continent, (nearly three times bigger than her cousins to the south, The Cliffs of Moher) and still an adventure to climb. Slieve League is a must for anybody interested in getting off the beaten path and experiencing some true solitude surrounded by natural beauty. You will depart at 8am for an early morning guided hike to the top of this iconic mountain. It is advisable to bring hiking boots and weather proof clothing for this day as rain showers can occur without warning. Going to the summit of Sliabh Liag is a 5-6 hour return hike. Guests not wishing to do this can view Sliabh Liag and then visit the Folk Village in Glencolmcille while the rest complete the hike. The Folk Village Museum is a cluster of several small cottages, called a “clachan”, perched on a hillside overlooking the sandy curve of Glen Bay Beach in the Gaeltacht (Irish-speaking area) of South West Donegal. Designed, built and maintained by the local people, the Folk Village is one of Ireland's best living-history museums. 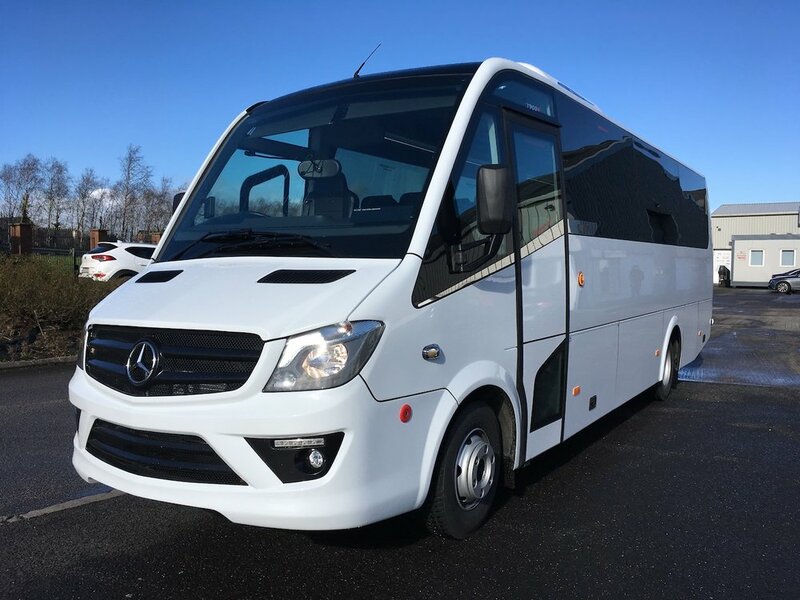 33 seat luxury Mercedes-Benz mini-coach. The hiking portion of this tour may not be suitable for children under the age of 8, participation for younger children is up to the discretion of the parents. If the minimum number of reservations are not met within 48 hours of this tour commencing, all tickets will be refunded. Transportation to and from all described locations in a luxury mini-coach with a professional driver and guide. If you are a group between 8 and 16 you can hire the entire bus and guide for your own private tour. Contact us for further details.